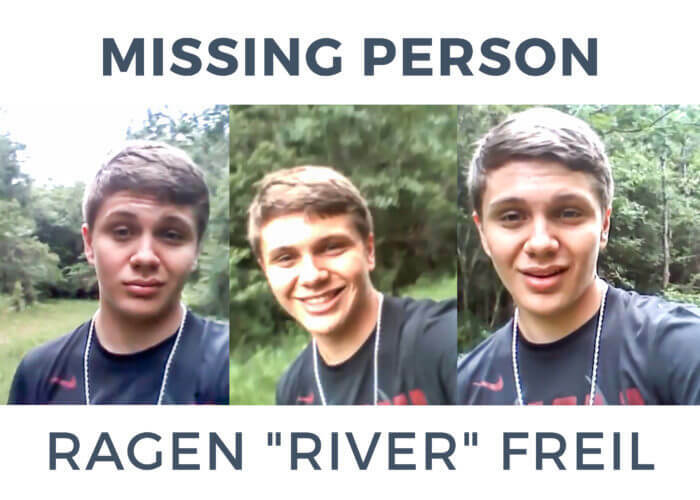 It’s been nearly a month since Ragen “River” Freil walked out of a group home in south Mobile County, but while the investigation launched to find him is still active, the 17-year-old is said to be communicating with the caseworkers who originally placed him there. Before Freil left, he was one of several residents at a “transitional age home” on Three Notch Road in Theodore. The 10-bedroom facility currently houses eight young men ages 17 to 20, all of whom are in the custody of the Alabama Department of Human Resources (DHR). The home is staffed and monitored by employees from AltaPointe Health Systems, which operates more than 20 other groups homes licensed through the Alabama Department of Mental Health serving the developmentally and mentally disabled. Unlike those homes, though, the transitional home Freil left last month is unique because it isn’t intended for disabled residents. It’s also the only facility serving the 17-20 age group within AltaPointe’s network across Mobile, Baldwin and Washington counties. Transitional Age Services Coordinator Katherine Rouse said because AltaPointe is contracted to through DHR to run the home, children throughout Alabama may be placed there. In most situations, Rouse said DHR acts like each residents’ parent would at home. Staff members take the boys to school, prepare their daily meals, provide them with transportation and chaperone them when they get haircuts, go shopping or meet a friend at the movies. Those of school age attend Theodore High School, where many have individualized education plans their case manager works with the school staff to implement. Currently, four residents are seniors, two are pursuing their GED and two have already graduated from high school. Even though the residents are in DHR custody, they aren’t court ordered to live at the transitional age house. Rouse made it clear that living there is voluntary and said AltaPointe’s policy forbids staff members from physically restraining residents. However, the policy can make things tricky if a resident decides he wants to leave. Despite those choices, when residents leave without supervision, it’s immediately reported to local authorities, and according to the Mobile County Sheriff’s Office, deputies have responded to 19 incidents at 9151 Three Notch Road over the past 12 months. While those incidents occur, Kriner said the staff tries to accommodate as many requests from residents as possible, sometimes calling in additional supervisors if two groups are interested in different off-site activities on the same day. Because DHR cases aren’t disclosed to the public, staff members declined to address Freil’s case directly. However, Captain Paul Burch said an MCSO detective located Freil July 31, and he has since been placed back in the custody of social services. Burch said Freil had “been communicating with his DHR case worker” during his absence, adding that, even as he continued to be listed as a runaway, authorities hadn’t suspected he was in any danger during the majority of the time he was missing from the home. Runways aren’t the only cases reported by MCSO, though. Police have also been called to the house for animal nuisance, harassment, attempted suicide, medical emergencies, an individual with a weapon, property damage and domestic violence since July 2016. In 2015, an 18-year-old resident from Cullman was charged with misdemeanor assault following an incident at the home. The same resident was later involved in a separate altercation with guards at Mobile County Metro Jail that left him paralyzed. Despite those incidents, Children’s Outpatient Services Director Olivia Nettles said there are plenty of success stories. She called the AltaPointe facility a “therapeutic home,” and said when minor issues arise among residents the staff tries to address them constructively. Nettles said there are at least two residential staff members on the premises at all times, though the number increases as caseworkers and therapists visit the home for scheduled activities. Sabrina Davis is one of the members of the residential staff, one who can sometimes spend an entire 12-hour shift with residents. Davis said she sees her role as more than just providing basic needs; she hopes to “give them [the] love” that other children receive at home, too. Updated at 2 p.m., Aug. 3, to include new information about the missing person’s case involving Ragen “River” Freil.